TN Box Office: Remo is Sivakarthikeyan's highest till date! Remo is only behind Kabali and Theri! How is Remo's opening in Kerala? Did you know this unknown fact about the Remo man? Sathish, the game-changer in Remo? A big release for Remo in USA! Remo - Grand release in USA! A happy news for REMO team! Remo combo to team up yet again! What makes Keerthy Suresh Remontic? Remo aka Sivakarthikeyan's Remo is a Tamil movie with production by 24am Studios, direction by Bakkiyaraj Kannan, cinematography by PC Sreeram, editing by Ruben. 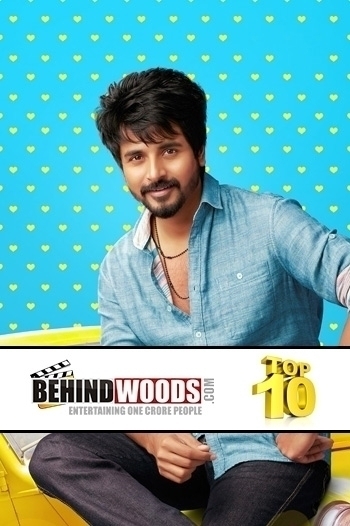 The cast of Remo aka Sivakarthikeyan's Remo includes Keerthy Suresh, Saranya Ponvannan, Sathish, Sivakarthikeyan.